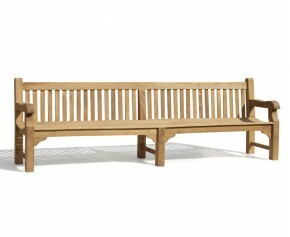 Providing plentiful seating, these 10ft garden benches are idea for both home and civic use. Made from the finest grade-A teak, these hardwood garden benches are extremely durable and can remain outdoors all year round no matter the weather. 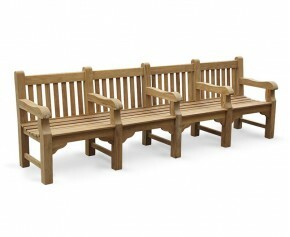 Our chunky garden benches come in a variety of styles, from luxurious Lutyens benches to the more classic Balmoral 10ft garden benches, so you are sure to find chunky garden benches that fit your style and purpose. These hardwood garden benches all boast a timeless and classic look, assuring that all our 10ft garden benches will look stunning in your space. 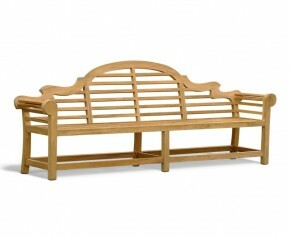 Ideal as a charming focal point, browse our selection of 10ft garden benches below.